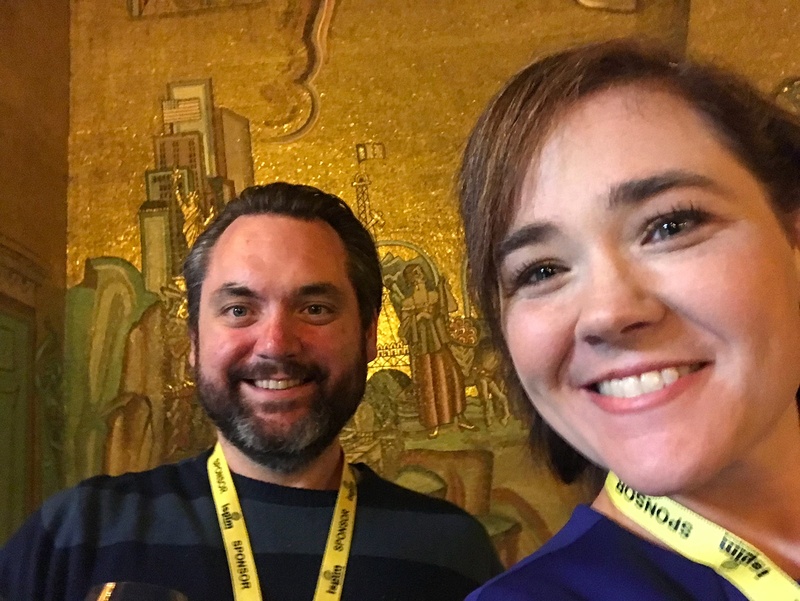 Shannan and Frank attended the conference after Exaptive’s submission to present on facilitating innovation was approved. 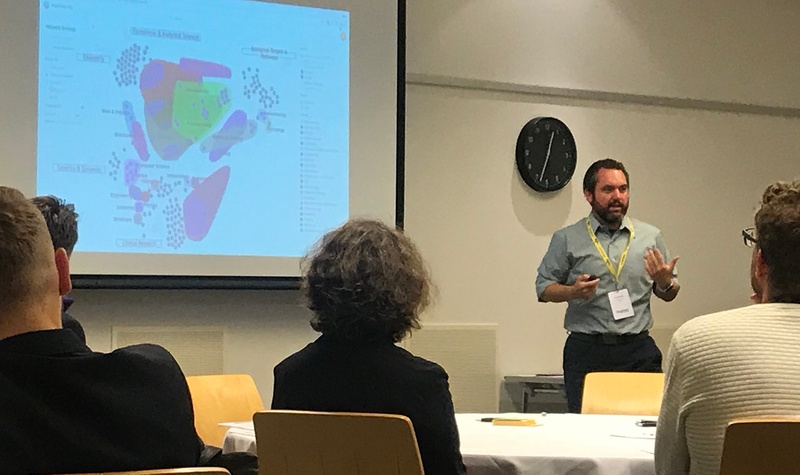 Frank spoke about Cognitive City software, designed specifically with the collaboration of mission-based teams in mind. Frank explained how we call the software a Cognitive City because it’s analogous to the productivity achieved in a city, where you have a lot of highly skilled people in a small area. Instead of waiting to bump into a good collaboration partner by chance in a physical city, researchers in a Cognitive City instantly have a map of how they fit into the expertise of the community, and which team members would bring complementary differences to a collaboration. Shannan tended the Exaptive booth and fielded lots of questions about visualizing communities. Innovation managers can use a Cognitive City to create a virtual space that becomes the central location for team members to communicate, interact with mission data and tools, and -- in some cases -- build their own tools for analyzing data. Tools which they can later license to others. Innovation managers were excited to talk about creating easily-understood inventories of their subject matter experts, the tools they use, and any other resources available. 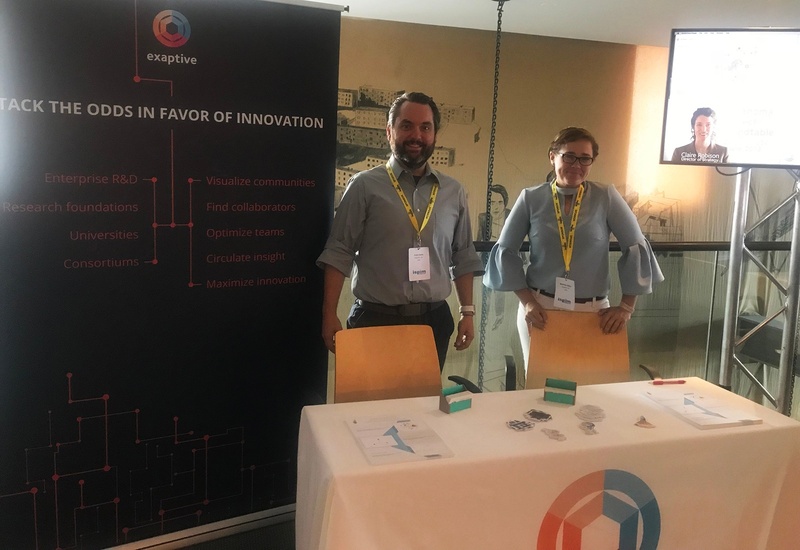 The ISPIM Innovation Conference included a travelling exhibit called the Museum of Failure. Relics of past attempts to innovate were showcased for the learning opportunities they provided. 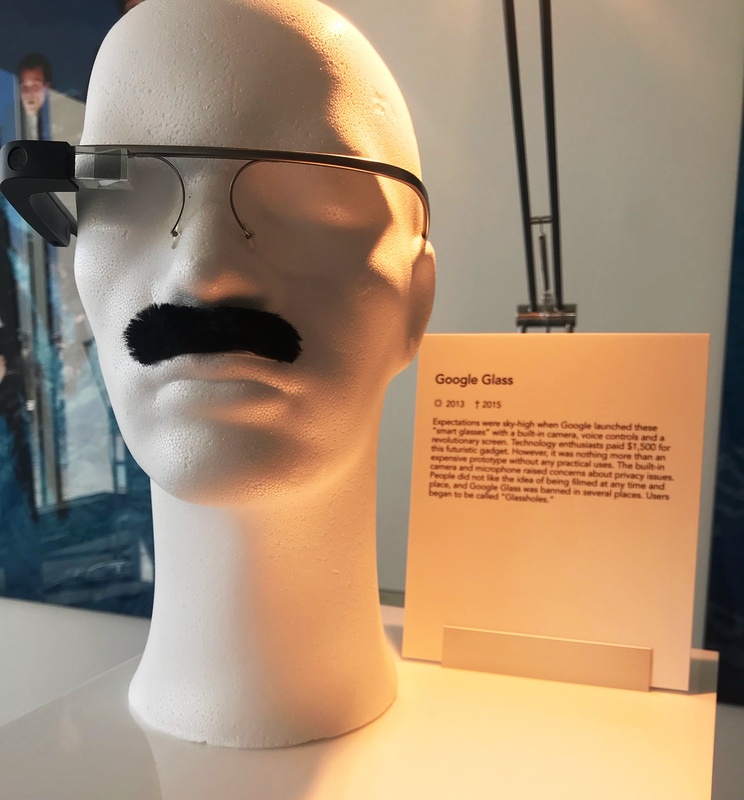 Our favorite failure was Google Glass, but that may have been due to the inclusion of a caterpillar-esque mustache on the styrofoam bust modeling the device. No matter what language it’s in, innovation isn’t just creative and it isn’t always new. Innovation has purpose and adds value and stands the test of time. Find more pictures from the conference on the Exaptive Facebook page.